Ya Jagoff!!! 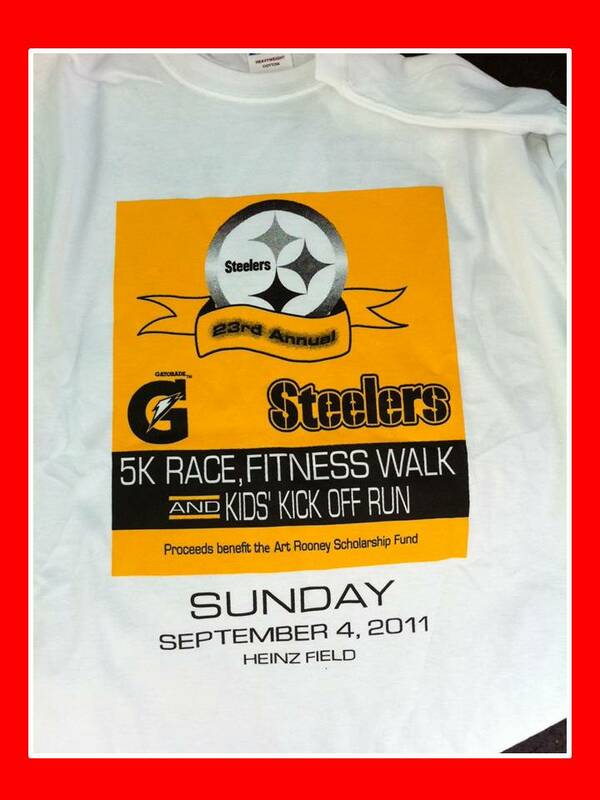 | Steelers Gatorade 5K Jagoff? Yep!!! Home 5k Jagoffs Steelers Gatorade 5K Jagoff? Yep!!! You see, we don’t remember the guys name for this and we failed to obtain a picture of him because we couldn’t figure out where he was standing and talking on the microphone!!!! 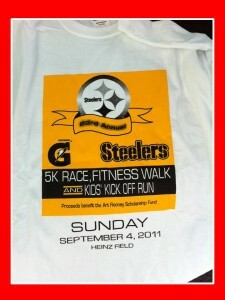 The 23rd Annual Steelers/Gatorade 5K was yesterday. It was a fun run as all of the previous years. And it benefits the Art Rooney Scholarship Foundation – a great cause. BUT……………..
For some reason, those organizing this event moved the start of this year’s race from the previous location, the 4-lane road around Heinz Field, to the Gateway Clipper landing area next to Heinz Field. Get the picture? They moved the start of the 5k race, with about 8,000 registrants, from a 4-lane street that runs the entire side of Heinz Field to a river-side slab of concrete that’s about the same square footage as a downtown bus shelter! WHAT? Yep, he said “pass on the right” AND a bunch of OTHER stupid berating things to the thousands that paid $25 to come and enjoy what USED to be a fun event! After the race, we figured out who this guys was. He’s the RACE DIRECTOR. Even more, he looks just like our high school gym teacher that we used to hate – grey crew cut, fu manchu mustache, old-guy muscles and that I’m-gonna-put-a-whoopin-on-ya look in his eyes. Not one molecule of “customer service” in him!!!!!! But without acting TOO snooty with our high school algorithims and stuff, we have one little common sense tip for next year so that you won’t have to yell and scream stupid stuff on your microphone every 5 minutes for a solid half-hour scolding a hot-sticky-ready-to-run crowd: START THE RACE IN AN AREA THAT ACTUALLY HOLDS 8,000 PEOPLE, YA JAGOFF!!! AUTHOR’S NOTE: We’re glad that we write this thing anonymously cuz, if old Mr. No-Name-and-No-Picture-Ex-Gym-Teacher Race Director finds us, he’d probably make us run 30 laps as punishment! Previous articleIt Takes A Wrought Iron Fence To Improve a Neighborhood!